“My dad raised me on metal, but my first serious love was hip-hop. When I heard Dr. Dre’s The Chronic, that’s when I fell in love. I didn’t know what the hell they were talking about, the beats were intertwined, and it came inside of me and took me over. The band have now released the official music video for the song, which you can watch, below! 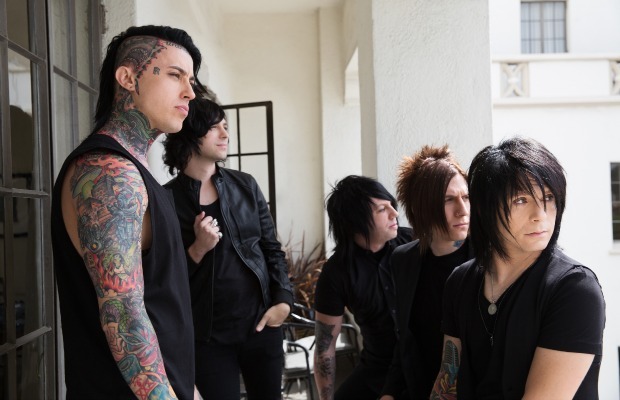 Falling In Reverse quietly snuck this one in on us: “Alone,” the first single from their upcoming album, Fashionably Late is now available on iTunes. Fashionably Late is set for release June 18. Falling In Reverse have been teasing that today, May 7, they would be releasing something. Though we're not convinced that the YouTube video being passed around for a new single, “Alone,” is an official posting, we cannot deny that it definitely sounds like the audio snippet in the official teaser.